We have taken out the guess work and put together a cute little bundle for you to purchase for someone special. No judgement if that someone special is yourself!! Available in sizes small thru xl - Cardigan is form fitting for a looser fit size up. 2. Coordinating Blanket scarf as pictured. 3. A CC POM POM BEANIE - Burgundy will either be a cream or red and Grey will be either mustard or Navy. All accessories are a final sale. 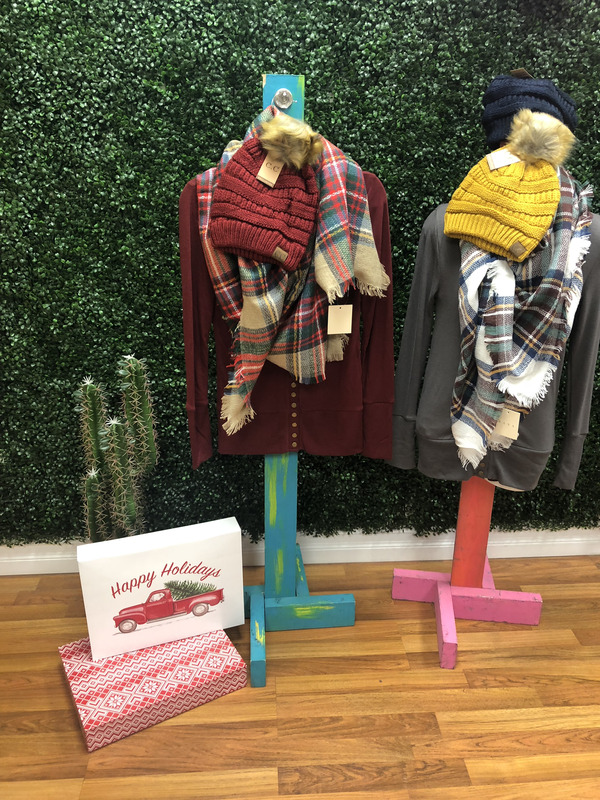 As per our Holiday Return Policy Cardigan can be returned for a store credit of $44.00 until January 15th 2019.